I love custom orders, so don't hesitate to contact me. You can also follow me on Instagram @sandyngo.designco! Visit my website at sandyngodesign.co. Amazing communication! Fast at reciving item. I purchased this wedding suite for my friend's wedding and she loved it! The colours were exactly what she was looking for; bright and modern. Sandy was so very helpful with editing. I would definitely recommend getting this set! Perfect for my panda living daughter . Sandy Ngo Design Co. is a one-woman design company based in small town between Dallas and Fort Worth of Texas. Sandy Ngo is a freelance graphic designer with 5 years experience in branding, print, digital, and web graphics. 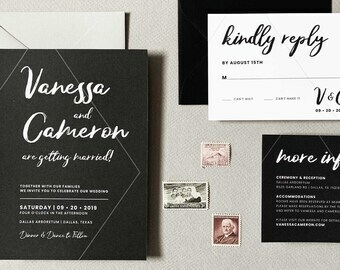 In 2017, she founded Sandy Ngo opened this shop for her love of designing wedding invitations and other stationery items. Hi! I’m Sandy Ngo and a graphic designer based in a small town between Dallas and Fort Worth of TX. Welcome to my Etsy Shop! 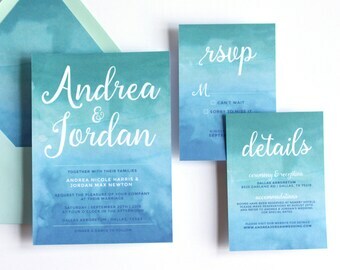 Have a look at my small selections, ranging from Wedding to Birthday Invitations. There will be more soon! I love custom orders and happy to collaborate with you. Please don't hesitate to message me if you have any questions or requests. We cannot accept returns or exchange. Before placing orders, please read the product descriptions carefully. If buyer does not provide details within 24 hours, seller will cancel the order. If you happen to have any concerns, please contact us and we will happily assist you. We accept PayPal, credit card, and Etsy gift cards. All of our items are digital and delivered digitally via Email. No physical print will be sent. Low-Resolution Proof(s) are sent within 24-48 hours (Mon-Fri) from the date of purchase. Proof(s) and High-Resolution file(s) will be sent to the E-mail address you have provided. *If buyer does not provide details within 24 hours, seller will cancel the order. It is the customer's full responsibility to proof for grammar, spelling, and wording. 3 rounds of revisions included with your purchase. Any additional revisions that are not the fault of the seller (such as misspelling, forgotten word, etc.) will have a fee. Sandy Ngo Design Co. is not responsible for any printing mistake costs incurred. Please proof carefully. *Coming Soon! * We currently do not accept printing at this time. All products are digitalized. Final files can be printed at home or your local print center. Sandy Ngo Design is not responsible for any printing mistake costs incurred. All designs are for personal use only and remain the copyright of Sandy Ngo Design. and cannot be resold or redistributed. 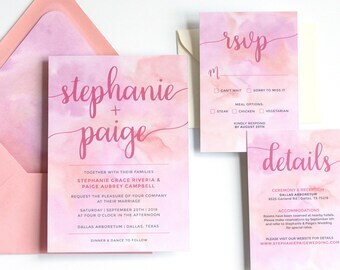 How does a digital invitation file work? Our digital files are NON-EDITABLE. They will be customized with your own information by the seller. • The design will be customized with the event information you have provided in the "Note to Seller" during checkout. • We will customized your chosen design and send you proof(s) to review before the final product. • Upon approval, we will send you the final high-resolution PDF and JPEG file(s). PLEASE NOTE: When viewing final digital files on an tablet or phone, they may appear to be different colors but will print properly.